We are specialists in the design and installation of high quality conservatories throughout Woodley. We work with the very best products, giving you a new living space which perfectly meets your needs and will offer a year round solution for your home improvements that promise to deliver more for your money. You can enjoy a new living area, home office, dining room, playroom or anything else you can think of, all year round with our conservatory designs. Each one is even tailored to your tastes with a choice of styles and finishes. Perfect for creating a room that complements your home, lifestyle and budget. 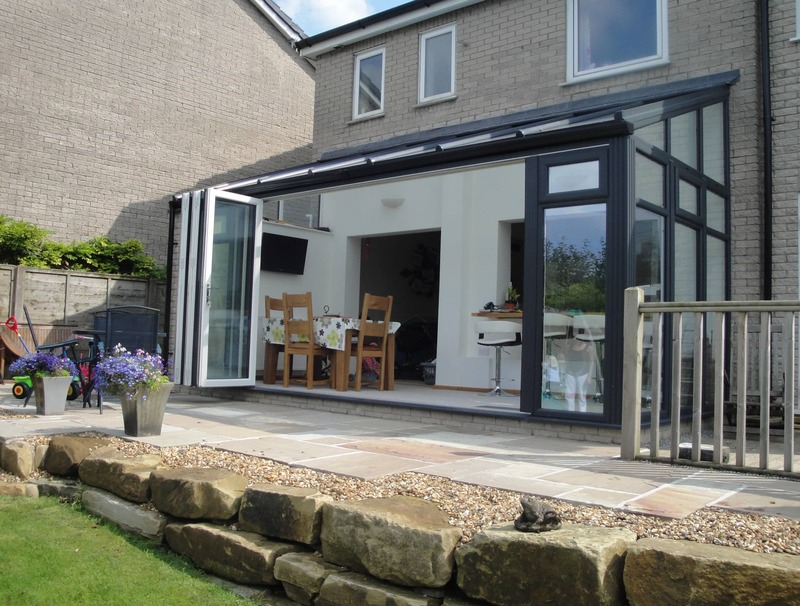 The lean-to conservatory is a fantastic choice, offering easy installation and great value for money. 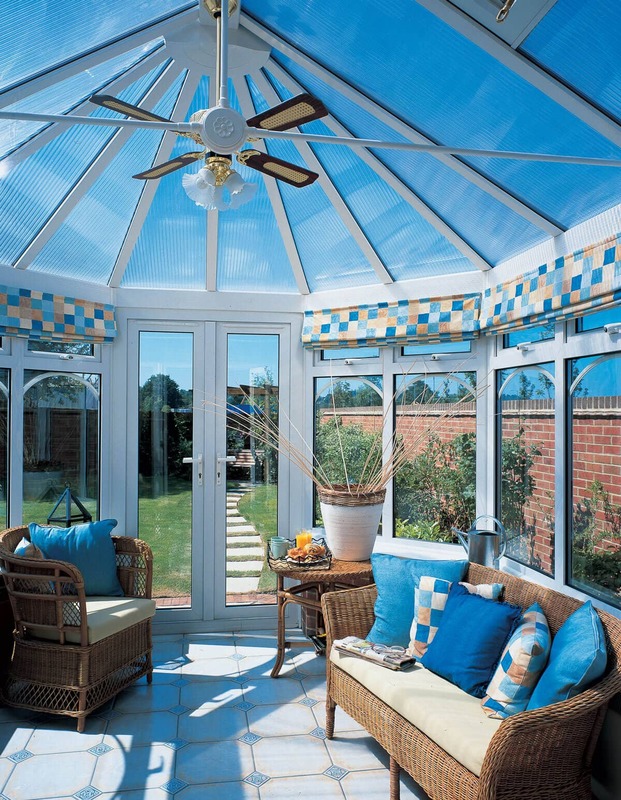 This conservatory style is fantastically versatile and will fit into almost any space you have. Perhaps you are looking for a utility room alongside your bungalow, or maybe a dining area that leads on from your kitchen. The lean-to conservatory design can fulfil almost any purpose and will complement any style of property, from traditional to modern. The Victorian conservatory style is the typical design most people imagine when you tell them you are getting a new conservatory. They are incredibly popular thanks to the multi-faceted shape and decorative details which means they will enhance the character of any home. This conservatory design offers expansive views and a bright, airy room, flooded with natural light. Relax and rejuvenate in style with a high quality Victorian conservatory in Woodley. Our Edwardian conservatory designs are a great choice for any property where you are looking for a functional room, one that can be used for almost anything. These conservatories have a square or rectangular shape, making them perfect for dining rooms, living areas and home offices. They offer a practical solution to giving you additional space to enjoy while still maintaining the elegance and charm that you would expect from such a classic and elegant conservatory design. If your home is a larger than average property, and you are looking for a spectacular conservatory to make the most of its grandeur, then gable-end conservatories are the perfect solution for your Woodley home improvements. These stunning additions have all the practical space that you would get from the Edwardian design, but have the visual impact of a roof which emulates the end of a house, creating a beautiful style to complement your architecture. As conservatory specialists, we work with the very best designers, meaning our conservatory collection also includes the option of a bespoke conservatory. If you need a new living space which makes the most of an awkward area in your home, or you are looking for a larger than average conservatory, our designers will help you by creating the perfect structure to meet your every requirement. These conservatories are ideal. Many people like the idea of a traditional extension, with the privacy and durability it offers, but not the price tag or the disruption of the build. Our orangeries are the perfect solution. With more brickwork than standard conservatories, these structures offer sturdiness and privacy. Yet, with more glazing than an extension, they provide a simpler installation and are far more cost effective. Orangery conservatories are the best of both worlds. When you choose Abbey Conservatories for your Woodley home improvements, you can count on high performance structures which will last for many years to come. This means you’ll be able to enjoy a standard of conservatory that promises satisfaction that lasts throughout the year. Our expertly installed home improvements meet the highest standards of quality and our highly trained team ensure a perfect fit. Each conservatory is crafted from energy efficient profiles which offer fantastic Windows Energy Ratings and will keep you warm on even the coldest of winter days. In addition to this, we ensure our conservatories feature advanced locking mechanisms from Yale. You can have complete peace of mind regarding the security of your home and family. It’s never been easier to enjoy an addition to your home that simply offers you more in a cost-effective and stylish way. We are hugely proud of the fantastic feedback our services get from our customers. However, to put your mind at rest, we are also accredited by the Double Glazing Network. Rest assured that you will receive and top quality service that is professional, reliable and efficient to guarantee outstanding quality. Our membership of the Double Glazing Network has been attained through rigorous assessment and we have met the strict criteria of the accreditation. You can be confident that our home improvements are intelligently designed, expertly installed and we provide excellent customer care. 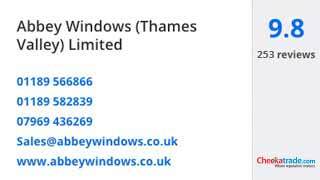 You can access tailored prices for our conservatories in Woodley. To find out more about how you can get one of our replacement, refurbishment or new conservatories installed, get in touch today! Give us a call on 0118 958 2839 and talk to our experts today. They will be on hand to provide you with all the information you need to make an informed decision. Or use our online quoting engine to get a rough guide price, or send us an email using our online contact form! We will be ready to respond as soon as possible.